In one way 2013 went so quickly but when I think about all the things I did, all the places I visited and all the things I achieved then I wonder how on earth I managed to fit it all in! In September D and I began our journey together to work towards our future. I started this blog and in October we took the plunge and moved in together in preparation for our saving plan that begins this January. D and I have a joint goal to save a deposit to get on the property ladder. We have set a figure that we hope to have saved by the end of 2014 and have worked out a budget we need to stick to in order to meet that figure. The budget hasn’t yet fully come into effect as we have had extra outgoings due to moving but we will be starting as of 1st January 2014. I still don’t see it as a New Years Resolution though. We didn’t purposely pick January as the start date for our saving because it is the beginning of the year; we chose January because it gave us two months from moving into our new home to get our budget in order and plan our approach to ensure we succeed. So, instead, it will be one of my 2014 goals. It is also my goal to improve and develop my blog further. 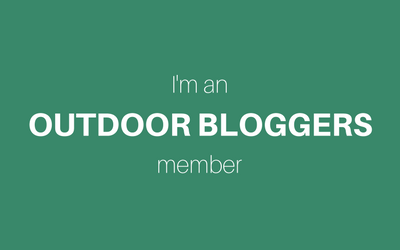 I am already doing this but I want to be more organised with planning, write interesting blog posts and meet/speak to more people in the bloggersphere. I’m not a chronically stressed person but I am a big worrier. If there isn’t something going on to worry about I will subconsciously look for something. If things are going to well then I daren’t get to complacent as something bad may be just around the corner. It’s a silly way to go on so in 2014 I will work harder to stress less about things and take each thing as it comes rather than pre-empt what might happen. That’s it. Just three realistic goals. PS. If you are setting yourself goals for 2014, I wish you luck!